I have been woefully lax in updating you all here – but I’ve been plugging away at my sweater design, and we went to Disney for 9 days a couple weeks ago, so no knitting was done at all for a while there! I took a freeform Knit and Crochet class – that was fun! And I took a set in sleeve class with Margaret Fisher – a very good class – I learned a good bit, and we made a mini set in sleeve cap. Mini sleeve cap and shoulder. Isn’t it cute? I also took an all day Shetland Lace class with Leslie Gonzales – excellent class! I’m almost done with my Shetland lace sampler, so once it’s done and blocked I’ll post about it here – I learned so much! Our local Guild had a table on the shopping floor as well, and we got a lot of interested folks stopping by, which was awesome! I’ve scrapped my previous idea for my sweater (or it’s been put on the back burner – I’m sure I’ll come back to the idea at some later point, but not for this sweater!) and I’ve latched onto a new idea. I’m very excited about it, and have a chart made up (finally – I lost 3 hours worth of work on it the other day when I didn’t save my file and the program crashed! Oops! o.O) Swatching has started, but I’m thinking I need a few different colors than I have on hand, so I’ll order some more yarn here in the next couple of days. I’m plowing ahead with the colors I have to see what color progression I like the best, though. I redid the Bavarian swatch, and need to block it still, so I’ll show that to you soon. 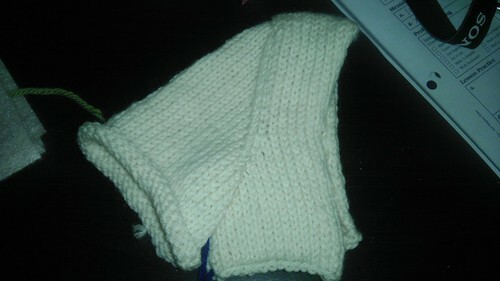 And I should have a redone Smocking Stitch swatch here soon to show you as well! So, not really many pictures to show you today, but I should have some to show you soon! Can’t wait to see some of your ML3 work. 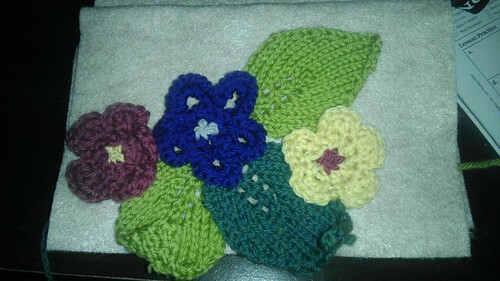 I’m stalled on the first swatches in level 2 since ‘finishing’ is not my favorite thing to do. Sweet family picture! 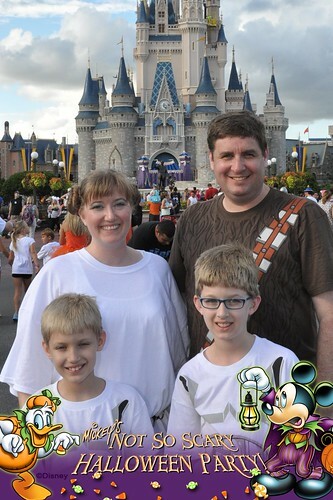 We also went to Disney in October several times ( a perk of homeschooling – vacationing when others are not). Happy knitting! Level 2 was a bear, with all the finishing work – but keep at it!! Check out some of my prior MK posts, I have most of the Level 3 swatches posted already! We love doing Disney in the fall when the crowds are low – definitely one of the perks of homeschooling we enjoy!